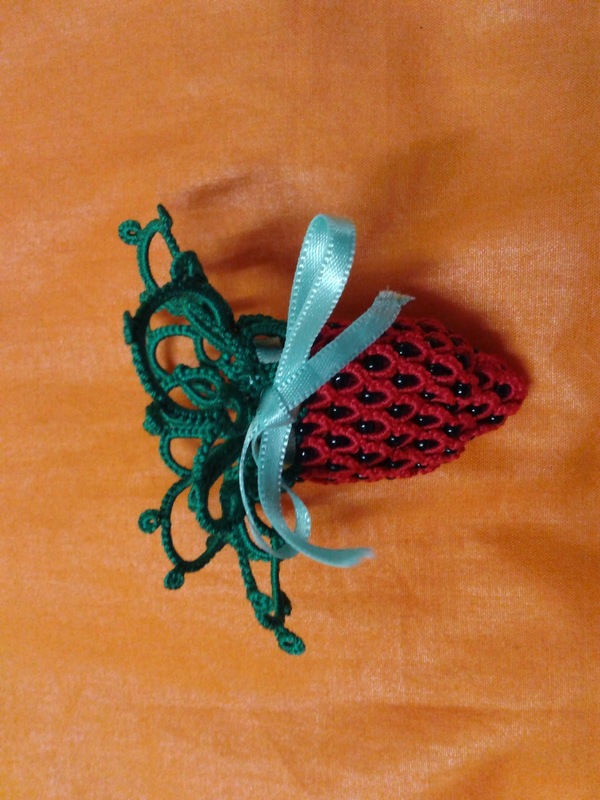 This Strawberry is made from a friend that is now addicted her name is Jacee, I am so glad you sent picture, I could not turn the picture, but don't have too, to see how super cute it is :) she is fast to! She plans more in the future! This is from my other new friend that needle tats you have seen her other berries on this blog too and she is having a ball changing colors and size threads too! Cute Halloween pics! One of my favorite holidays. Those strawberries are really neat. What a pretty family !! You looked stunning as a gypsy! !